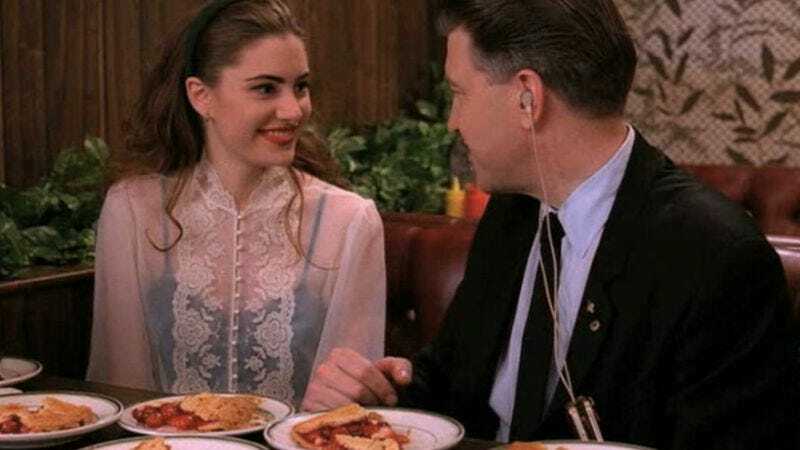 As enticing as any of its core mysteries, the cuisine of Twin Peaks consisted of three things: cherry pie, jelly donuts, and black coffee. Each is likely to be represented at countless lodges—be they Black or White—this weekend, as fans gather to watch the first episodes of the show’s 25-years-in-the-making third season. And if you’re having trouble settling on the right pie recipe, The New York Times has you covered. Catch up on the show’s voluminous ensemble here, or take a peek at our guide to the five episodes you’ll need to watch to be prepared for this Sunday.